The ICOLD General Assembly held in Seattle in August 2013, approved that the ICOLD Annual Meeting in 2016 be held in South Africa. SANCOLD is very excited about this matter and is hard at work organising an exciting event with a substantial technical content. We hope to provide the delegates and accompanying persons with insights in our African country and region with its huge range of cultural, scenic and touristic interests. Johannesburg has been selected as the venue. Johannesburg is a modern vibrant city which started with the discovery of gold in 1886. We now have some water quality challenges arising from acid mine drainage from these mines and this aspect will be addressed during some of the technical tours. South Africa and Johannesburg is well known having hosted the successful Soccer World Cup in 2010. - 1994 Annual Meeting and Congress in Durban. The Annual Meeting in 2016 will be held in Sandton, Johannesburg. The infrastructure there has been upgraded with excellent conference facilities, hotel accommodation and transport (Gautrain high-speed train from the airport). 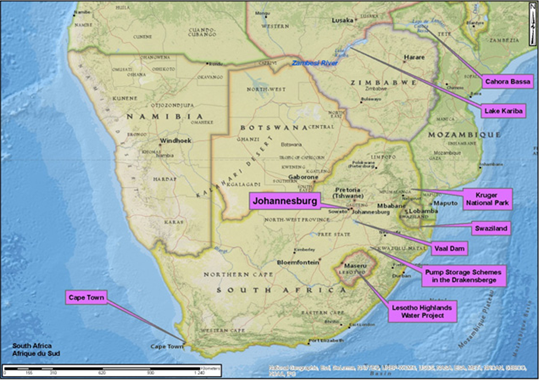 Johannesburg has excellent airport facilities and is centrally located for various study tours. 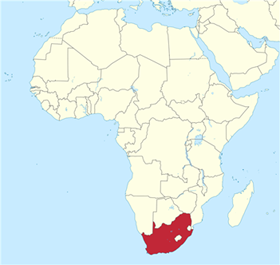 South Africa is a well-known tourist destination where almost 10 million persons visited the country in 2012. 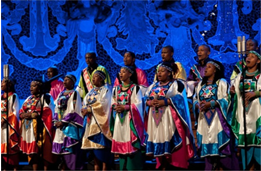 The Annual Meeting will be held in the Sandton Convention Centre (SCC) which is a modern conference centre with all of the necessary facilities. 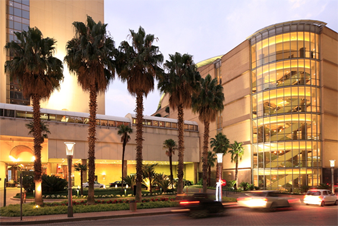 The SCC is associated with three hotels (Tsogo Sun Group) with 1 000 guest rooms. Two of these hotels and large shopping complexes are linked to the SCC via covered walkways. Other hotels are available within easy walking distance from the SCC. 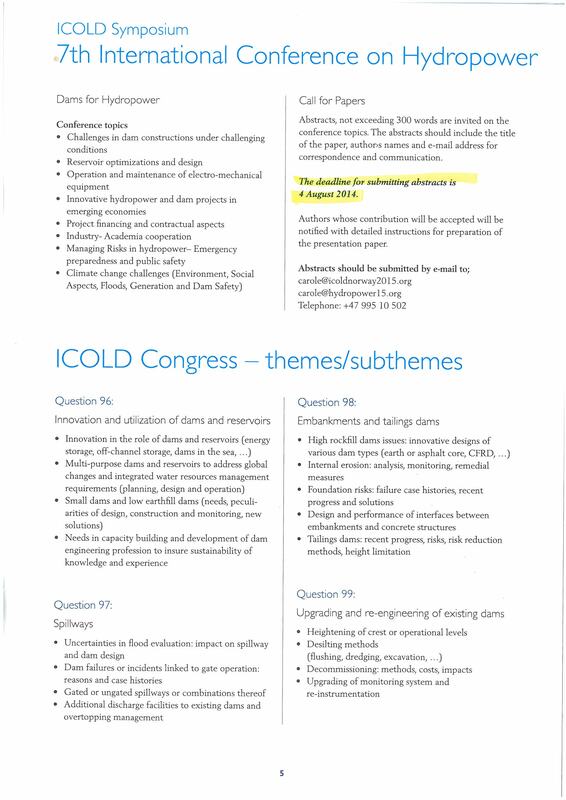 A range of hotel categories is thus available for ICOLD 2016. - Final Bulletin November 2015. The ICOLD 2016 website will be created during the first half of 2014 and will be updated regularly. 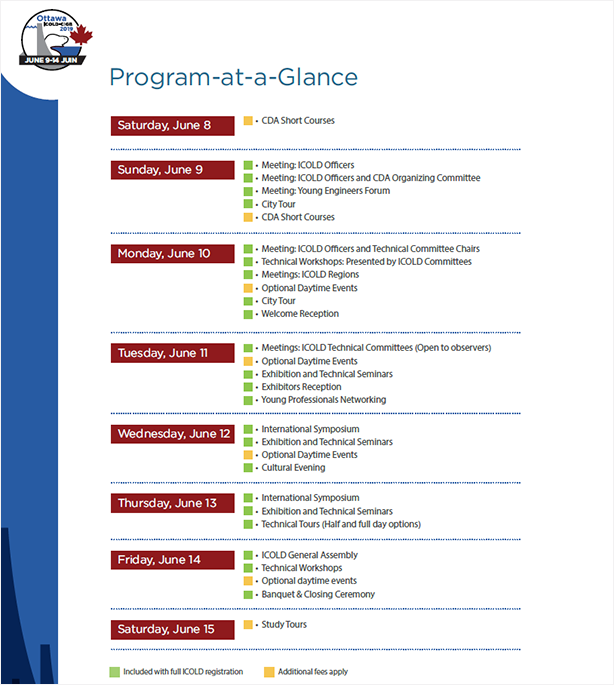 ICOLD has some 28 Technical Committees which will meet for 1 ½ days. The meeting on the Monday afternoon is intended to be in the form of a “workshop” for new Committees and a feedback and review workshop for those Committees coming to end of their term of office. A Technical Exhibition of at least 50 stands is envisaged. Prospective Exhibitors should contact the Secretary: SANCOLD at secretary@sancold.org.za. 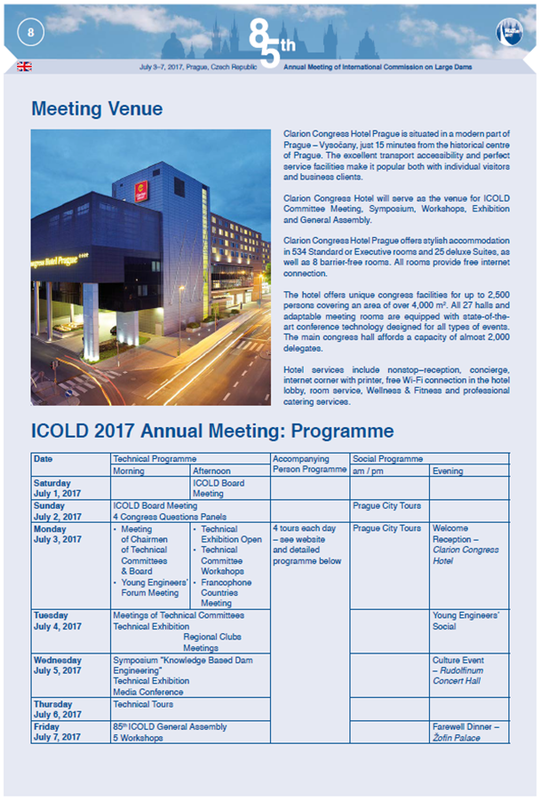 Further detail will be provided in the Initial Bulletin and the future ICOLD 2016 website. ICOLD has four Regional Clubs (see ICOLD website www.icold-cigb.net for further detail). The African Regional Club (ARC) is gaining strength and currently has a membership of 22 African countries. 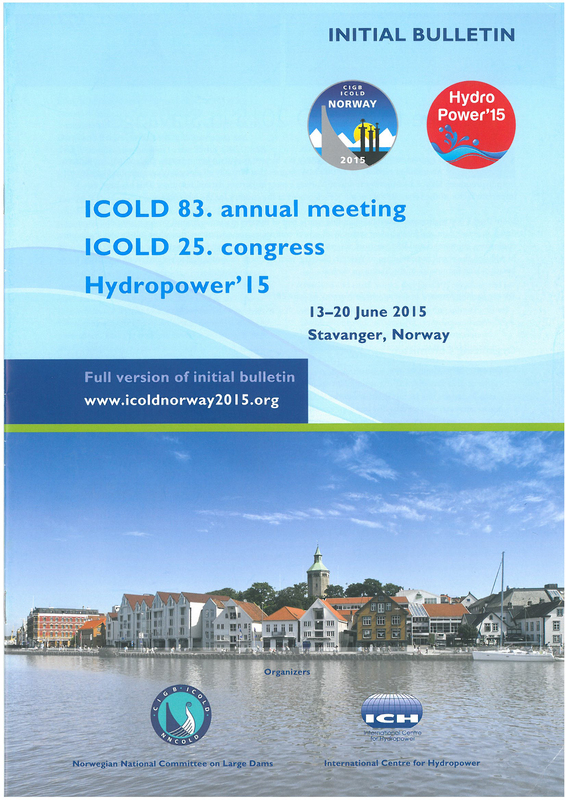 The hosting of ICOLD 2016 on African soil provides a special occasion for the meeting. According to international norms, Africa’s water and energy resources need much development and there are hence many commercial opportunities on the Continent. 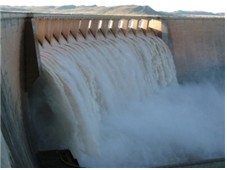 The theme of the Symposium on Wednesday 18 May will be “Appropriate technology of dams in developing countries”. The Call for Papers will be issued in about March 2015. The Symposium may require some parallel sessions, depending on the number of papers to be presented. The papers and presentations will be supplied to the delegates in electronic form for ease of transport. 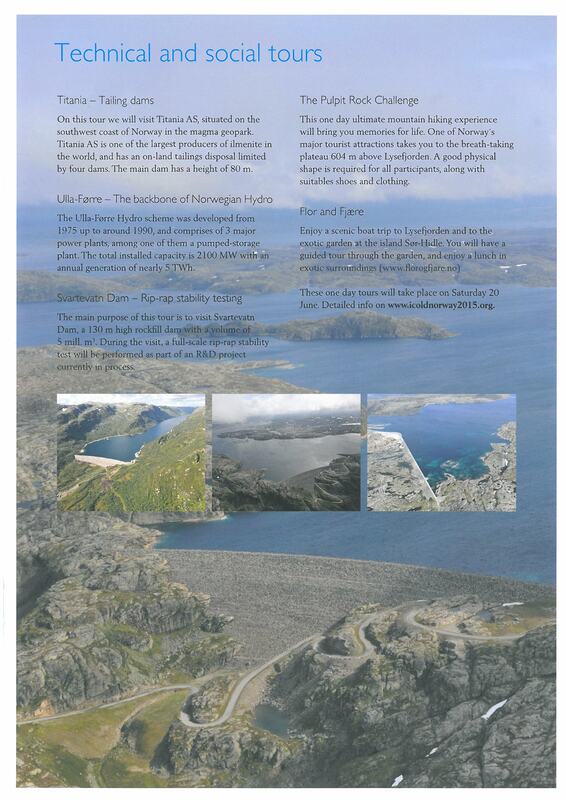 - Dam safety and dam rehabilitation. SANCOLD may also call upon some of the ICOLD Technical Committees to provide inputs for the series of Workshops. The Workshops will be held on the Thursday and Friday. Three to four one-day technical tours will be provided on the Thursday and the cost thereof will be included in the Registration Fee. The purpose is to enhance the technical content of the Annual Meeting and to provide networking opportunities. 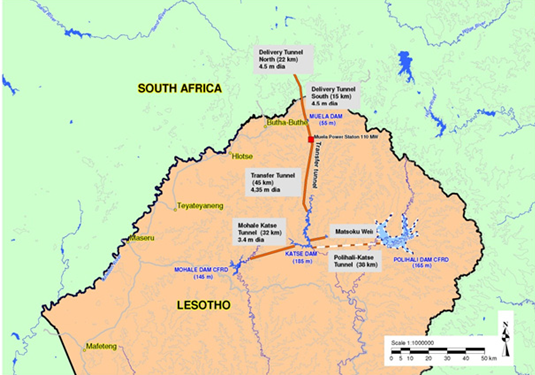 The Technical Tours will include visits to dams which are being rehabilitated, tailings dams and the Vaal Dam which is the key dam in the large Vaal River System which serves the economic hub (Johannesburg and surrounding cities) of South Africa. Water from the huge Lesotho Highlands Water Project flows eventually into Vaal Dam from whence it is purified and distributed. ICOLD formed the Young Engineers’ Forum in 2011 and South Africa formed its SANCOLD YEF shortly thereafter. Special events are arranged for the Young Engineers and reduced registration fees will be provided for them. We hope to have an excellent participation from our younger Colleagues in 2016! South Africa has an ancient history and there will be opportunities to visit the Cradle of Humankind. Local tours will include various touristic attractions such as game-viewing, scenic tours and African culture. 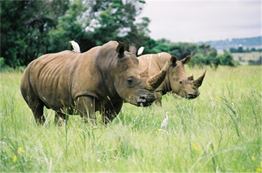 See rhinoceros in a game park at the Rietvlei Dam on the outskirts of the Capital City, Pretoria which is only 40 km from Johannesburg! We aim to provide participants with a taste of Africa. Many delegates will remember the ICOLD Congress in Durban in 1994 and the exciting cultural events! Come and enjoy similar ones in “Egoli” which is the nickname for the “City of Gold”. - We believe that we have employed workable solutions that may be of interest to dam engineers from other countries. These include solutions with respect to topics such as materials (eg. RCC); spillways; asset management; risk management; environmental management; system management approach for inter-basin transfer schemes; funding; dam safety; monitoring and surveillance; rehabilitation of existing infrastructure; pumped storage facilities; small hydro plants; quality control; sustainable development; bi-national development projects, etc. - Kariba and Cahora Bassa Dams in Zambia/Zimbabwe and Mozambique. - To apply any profit for the benefit of the dam engineering sector. The Organising Committee for the Event has been formed and includes some members who were involved in the very successful Annual Meeting and Congress held in Durban in 1994. We have a number of our members who have attended many ICOLD meetings over the years and we can assure you that we will be able to offer you a well-organised, interesting, exciting and fun event! SANCOLD members will have a number of opportunities of assisting and participating in the Event. You will gain several benefits such as international contacts and knowledge transfer. Please submit your name to the SANCOLD Secretary if you wish to assist. big fish pond, the beautiful temple was built in 1634 with multistoried roof and original Balinese architect. was constructed in 1993 is a clay earthfill dam, with volume of 0,420M m3 and 6,8 meters high. Its purpose is mainly to supply water for Nusa Dua area. and sightseeing in Ubud Traditional Art Market will be included. 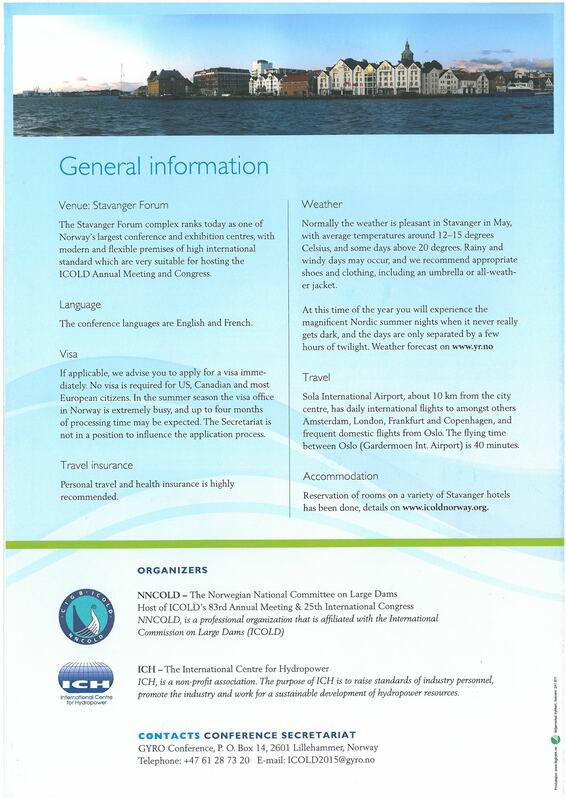 as the UNESCO'S Cultural World Heritage.